Deer will head to thick areas where they feel safe and secure, and that’s where you have to set up and be waiting. An elevated tree stand is the best way to go. Place your stand near the thickness the deer will be heading for, with good visibility, and it’s critical to get into position before first shooting light. 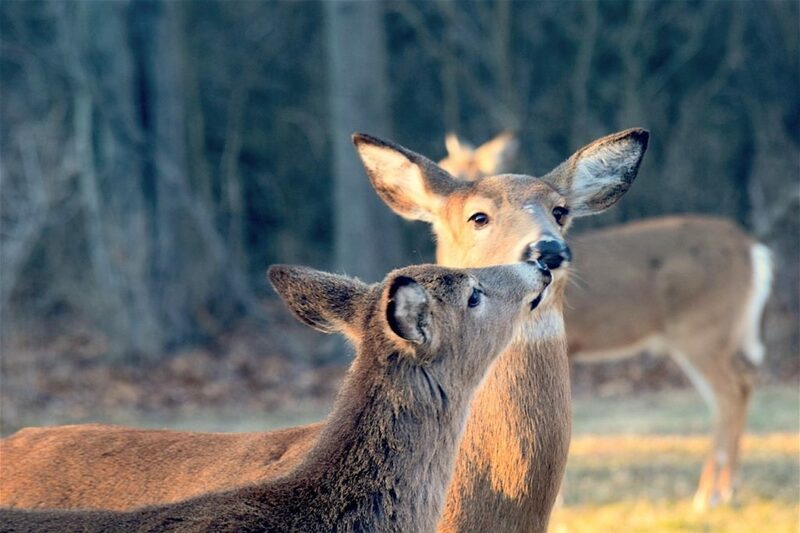 Many deer react to hunter movement, even before any shots are fired. Escape routes and feed-to-bed trails are often your best bet. Select your stand accordingly for deer that were on a food source during the night and will be heading for thick cover come dawn. Sometimes, you have to hunt where no one else is willing to go. 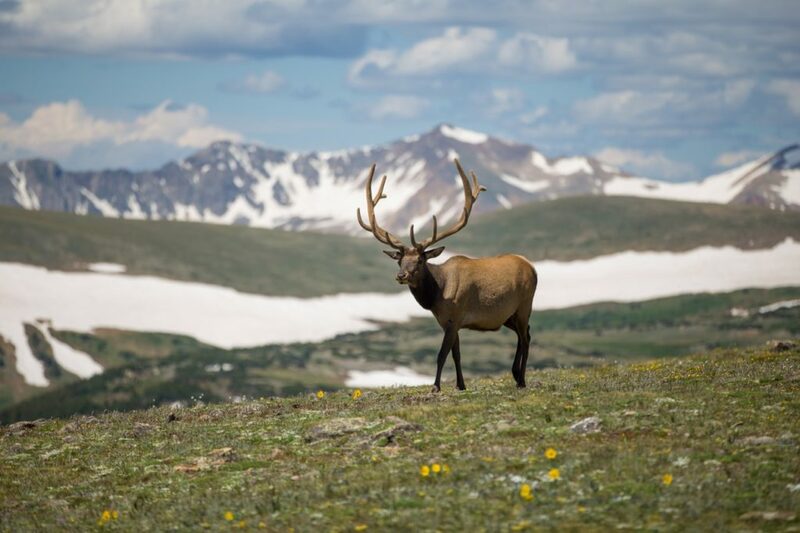 Many deer change their patterns almost immediately due to human traffic, so you might have to seek out a new area. Let the weather be your ultimate guide; nothing impacts timing and action more than what the weather will be like. Make sure you’re on top of the conditions if you want to get things exactly right. This includes not only rain and snow but also being aware of pressure and wind. Deer tend to follow the path of least resistance. On opening day, pinch points and funnels that are covered are essential as deer become on the move as guns start going off. Locate your stand downwind of a prime terrain feature. Try out a charcoal mask. Wearing face paint keeps deer from spotting you. Greasy paints are difficult to remove, but charcoal is just as efficient and is even more simple and cheap. It’ll wash off easily and provides some scent control. Make the forage you’re hunting attractive. This can be done with fertilizers and an understanding of plant biology. Two weeks prior to opening day, hit up your area with fertilizer and an application of nitrogen. This will create an ultra-green area, and more deer will come to eat, giving you great opportunity. Always have a stash of zip ties. You can use these to quickly fix your tag to deer, add cover to a stand, or erect a ground blind; there are many uses to them and are always good to have on hand. Try things with a small group. A smaller group can produce better results than a big one. On opening day, the goal is to nudge deer into position, and a small group of three to five hunters can work this well. Know that a drive can work. An opening day drive can be effective if it’s done right, and you can benefit from drives gone wrong in neighboring areas by hanging a stand off the property line. Many drives don’t involve enough planning, and escape routes are overlooked. Done properly, a drive can bring you a great haul on opening day. Be careful about your odor. Human odor can scare deer away very easily. Even if you don’t think you smell, your presence alerts deer. Shower with a scent-free soap before every hunting trip, and while you’re snacking in the car, don’t contaminate your hunting clothes; keep your clothes sealed in a plastic container or bag along with dirt, leaves, and other ground debris until you arrive at your hunting location. This will allow you to easily take on natural scents that won’t give you away. Going off this, experienced hunters bring an odor eliminator with them and will consistently spray themselves. After the walk to the stand, apply odor eliminator to your body, your hat, and your hair. Be aware of all conditions. Take note of the wind and make sure that you play it. You can set up a high tree stand so your human odor flows above the deer. Before the season even begins, you can practice setting up and taking down your tree stand to ensure that you can do so as quietly as possible. You can also check out aerial photos of your hunting location by simply searching Google Maps. Something many hunters forget to look out for is the risk of ticks. Be sure to douse yourself with tick repellent while you’re hunting, especially during the summer and the early fall. Tick-borne diseases are serious and can end your hunting season early. If you have a tree stand, you also need to take action to make sure you’re safe as you get in and out of the tree; many falls from the tree stand happen as people are climbing in and out, so you should always wear a full-body safety harness to ensure this doesn’t occur to you. Again, a tough injury can put you out for the entire season. If you’re hunting in late fall or winter and there’s snow on the ground, look for leaves strewn across an area where deer have pawed. That could be a good spot to set up and wait in case the deer return. Understand the best time of year for your actions. During the season, you should avoid trimming shooting lanes, or otherwise disturbing your hunting area. The best time to clear shooting lanes is during the summer. Some deer become conditioned to the smell of timber that’s been freshly cut, and associate it with humans, so you’ll lose a lot of potential with your area. If some concealment is good, maximum concealment is always better. Create blinds for your tree stand to fool deer, and the blinds will also provide the added benefit of protection from the wind. You should also understand the necessity of being able to get to your tree stand completely undetected. Going under the cover of darkness likely won’t help. To cover your entry, use a creek or curtain of the forest.